Solo skipper of Ladybird, Andrew Scullion, receives a prize from RHYC Rear Commodore Sail. The forecast for Friday seemed to be saying that the wonderful weather we had been experiencing during Cape Cutter week was coming to an end. Very strong wind and heavy rain was forecast for the middle of the day, so we rose at 4am (!) to get home before the bad weather reached us. 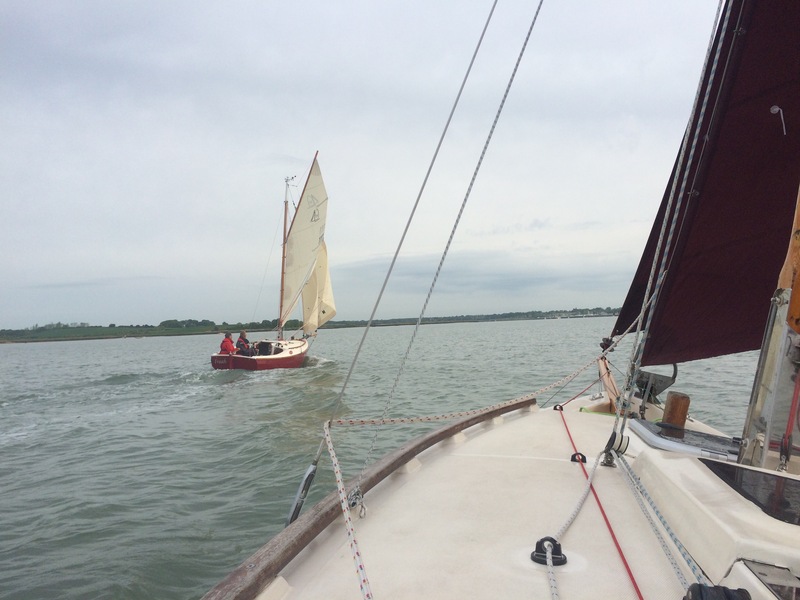 It was a wonderful dawn with a moderate breeze to carry us back to Levington. 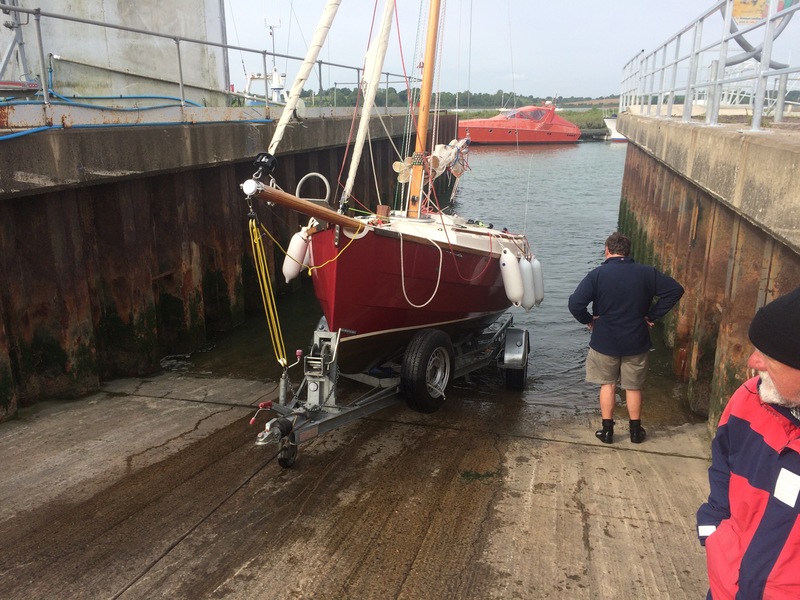 We left Titchmarsh at low tide and the waters were very shallow beneath the centre plate as we made our way towards Harwich almost dead downwind. 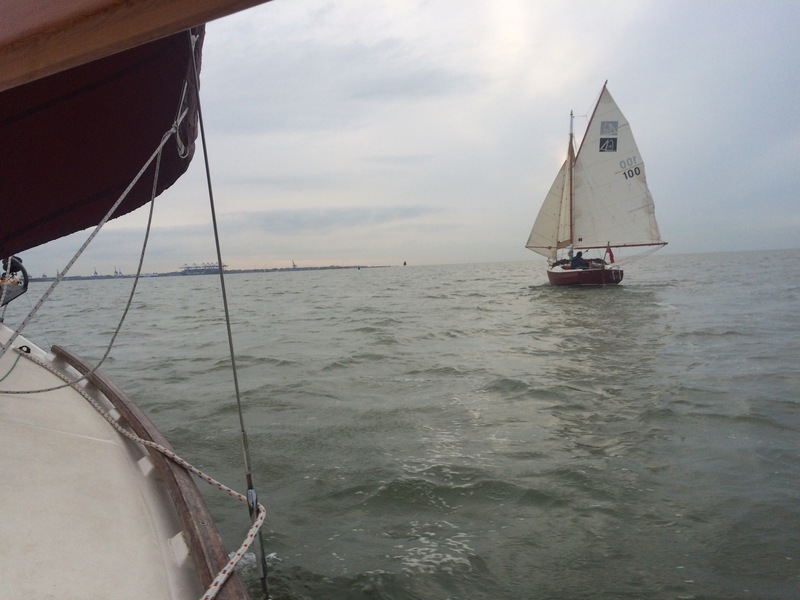 As we turned up the Orwell we had a fantastic reach and with the flooding tide, made over 6kts.